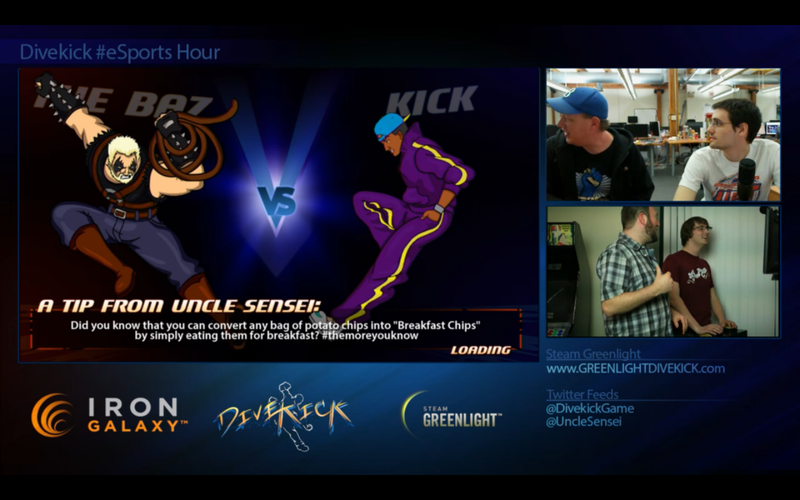 The Baz is the latest character unveiled by the Divekick team. 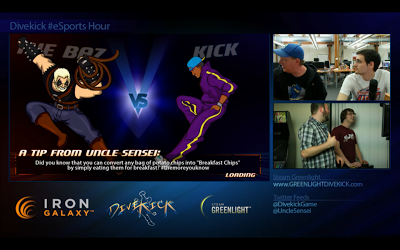 On last night's (May 6) edition of #eSports Hour, Keits and Dave Lang revealed a new Divekick character. Say hello to The Baz. The character is inspired by a rejected Street Fighter 2 warrior that was to be named Zubaz.